Nearly 100 stories from over 40 tribe-related myths of creation, tales of epic deeds, ghost stories and tales set in both the animal and human realms. My goodness this was a long, hard slog! 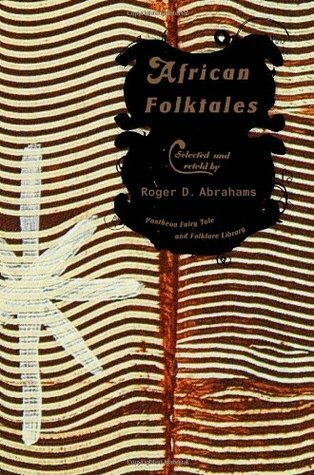 This was my second attempt at reading more mythology, fairy tales, and folk tales in my effort to increase my awareness of storytelling archetypes. I started with Native American stories and enjoyed that far more than the African ones. It could be that, having grown up in a Western Plains State, the Native American story-telling structure was already part of upbringing. I didn’t feel like it was, but I just had such an easier time following and digesting what I was reading. I have been picking away at this book for over six months. And it was pretty painful. I think I had two problems with the African folktales: 1) the names and 2) the names of animals or things that I had no idea what they were. Many of these African folktales including a song component and our a repetitive structure, similar to nursery stories like Goldilocks and The Three Bears or The Three Little Pigs. And whenever that would happen, I would find myself trying to skim the story and then getting confused.